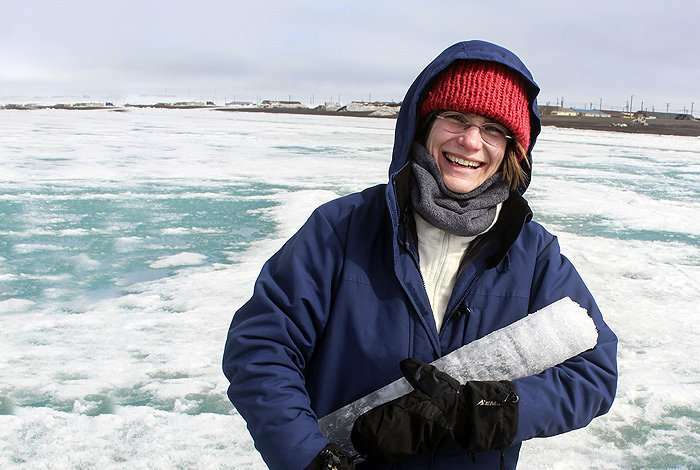 "This update improves our ability to understand a type of anchored ice, called land-fast ice, that is attached to the shore or sea bottom and can block shipping lanes and northern ports," said Elizabeth Hunke, lead developer of the CICE model. "The polar regions are not desolate, they're actually alive with shipping, energy development, fishing, hunting, research and military defense operations," Hunke noted. "Sea ice makes navigation hazardous, as thick ice can block fishing boats and even makes it difficult for U.S. Navy submarines to surface during an emergency. Our model is essential to helping agencies predict the polar sea conditions for developing infrastructure, shipping and transportation plans," she said. "In addition, the new tool can provide insights into the complex ecosystems of the polar region such as the algae that is essential to some polar creatures."